What if space was filled with a non-material but very dense fluid and matter was composed of 'holes' in that fluid? Visualize water as the omnipresent medium and tiny bubbles swirling around to eventually give form to everything that can be seen. You'd have an analogy of the way Paramahamsa Tewari, a nuclear engineer with a passion for physics sees the universe. Tewari's Space Vortex Theory (SVT) explains universal reality in a radically different way from that proposed by physicists today. 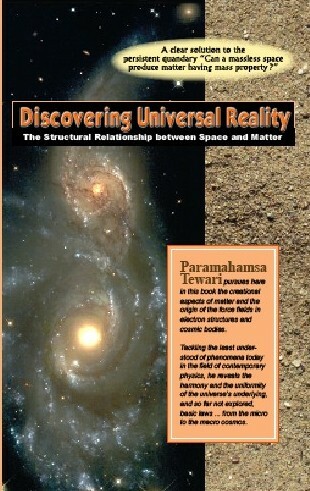 A new book titled Discovering Universal Reality is available from his site (PDF download - 1.3MB) or in print from Stonehill Foundation in Kerala, India (stonehillfoundation@asianetindia.com). Tewari summarizes and explains the principles of SVT in a way that is understandable to everyone. You do not have to follow his equations to get the gist of what is said. According to Tewari's theory, there is only one basic, stable particle - the electron - which in combination of great numbers builds atoms and thus makes up all the matter we perceive. The electron is seen as a bubble in the fluid of space, created by circulation of the space medium. When that circulation exceeds the space medium's limit of cohesion, it leaves a tiny spherical void. The existence of this tiny void stresses the incompressible space medium creating the electrical and gravitational properties we associate with matter. Light and heat are oscillations of matter but they are transferred through space by a wave-like disturbance of the medium of which matter consists. There are no "photons" to visualize as separate particles, merely successive expanding "shells" of a disturbance propagating through space with the speed of light - c.
But I better let Tewari speak, lest I get carried away and inject too much of my own - in this case necessarily secondary - understanding of things. 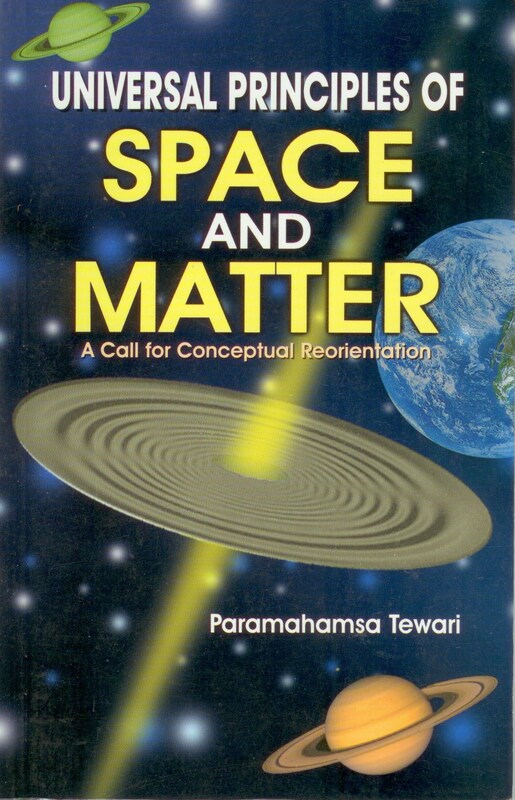 Tewari's views have revolutionary implications for our understanding of the universe and they will - if proven correct - allow us to gain a conceptual understanding of physical reality. What a change that would be from today's physics which has become an esoteric labyrinth of mathemathical constructions that - it is said - only the brightest (but really perhaps only the most convoluted?) minds can grasp. The space of the universe is an eternally existent, nonmaterial, continuous, isotropic, and fluid substratum. The space has a limiting speed of flow, equal to the speed of light relative to the absolute vacuum; and a limiting angular velocity, when in a state of circulating motion. The universal space is eternally inherent with motion. This work (1983) is the fourth in a series, preceded by The Substantial Space and Void Nature of Elementary Particles (1977), Space Vortices of Energy and Matter (1978), and The Origin of Electron's Mass, Charge, Gravitational and Electromagnetic Field from 'Empty' Space (1982). 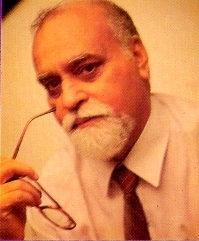 The basic idea, of constructing the universe of matter and the medium of space with a single mobile entitiy (Fluid substance), was first formulated as a hypothesis in my work (1977), which was further developed in other works, referred above, without any change in either the basic postulates or the main framework of the hypothesis, though the mathematical analysis underwent constant improvements in the subsequent works. For the mathematical clarity, the reader may refer to this work, Beyond Matter, whaereas, for the progressive development of the ideas of spatial reality going through the earlier works too will be useful, specially, for the qualitative aspects of the generation of the fundamental phenomena of mass, inertia and charge. The experimental proof of the hypothesis of the subsantiality of space has been subsequently obtained through the numerous experiments on the new phenomenon of "space power generation", that are discussed and reported elsewhere. The positive results of these experiments had given me the added conviction to name the earlier hypothesis as "Space Vortex Theory", abbreviated as SVT. There is hardly any deviation from the earlier theme. The nature of space and elementary particle of matter, conceived by me about two decades ago, remain unaltered even today. The Origin of Electron?s Mass, Charge Gravitational and Electromagnetic Fields from "Empty Space"
In an effort to fathom deeper into the physical significance of fundamental properties of matter like mass, inertia, electric charge, and the very nature of the fundamental state of energy, in my earlier work, "The Substantial Space and Void Nature of Elementary material Particles", a new theory of space , energy , and matter was proposed. It was postulated that the absolute vacuum (space) is a fluid, massless, zero viscosity, incompressible medium in which material particles are created as vortices of the fluid space. The present book is further expansion on the same founding principles. It covers my further research on evolution and motion of galaxies, nature of magnetic field, eklectric current, light, electron theory of matter, interrelation between light and gravity, and fallacy of Einstein's ideas on space and time. 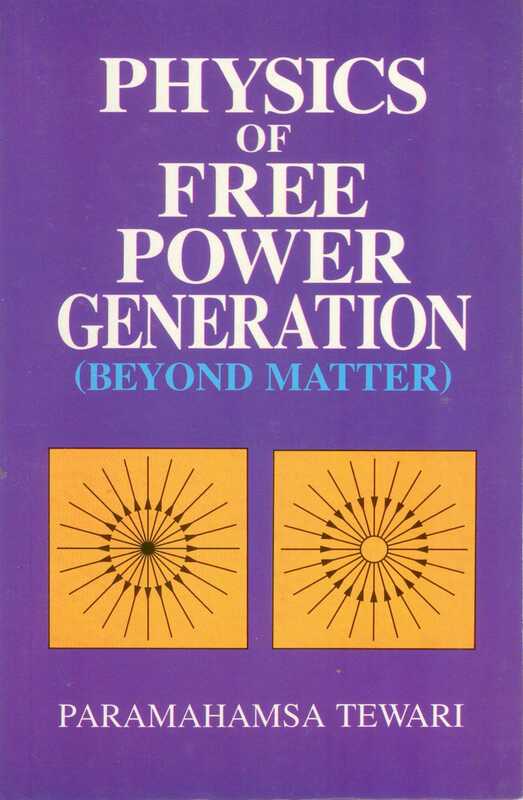 To determine the nature of space and energy, which can evolve and maintain the universal matter and its associated fields, so that 'why' and 'how' of the fundamental properties of matter (as exhibitted) can be explained, is the main purpose of this work. The medium of space possesses non-material properties, and is the only medium with absolute properties in the universe. The fluid SS (substantial space ) medium can have steady flow at any velocity varying from zero up to a limiting velocity; pressurisaion / depressurisation effects are transmitted in SS at the same constant limiting speed. The SS medium (Primary medium) of the universe possesses inherent motion. What is the expamse of the universe? What is the unit of measure that Nature uses in its cosmic design? Can the invisible universe of space be the real medium of substantiality and evolve fundamental matter and also the various fields and potentials as its own characteristic states? 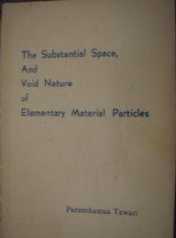 There is a finite volume of only one substance (substance does not signify matter) in the universe that constitutes the space and not the interior of fundamental material particles. The substantial space is continuous and hence incompressible, massless, superfluid with zero viscosity loss in motion that can flow upto a maximum speed c (propagation of light in space). The substantial space of the universe is in circulating motion with respect to the centre of the universe which is the only absolute point of reference, with maximum circulation at the universal centre and minimum at the universal periphery.